Are you hungry for adventure? Come and explore the universe with us! The announcement of No Man's Sky has been met with some amazing hype. An exploration game that never ends twisted with space combat? An infinite galaxy with beautiful artwork and atmosphere? To add to the hype for this game, here's 10 interesting facts about No Man's Sky. No Man's Sky has gained a lot of attention for its claim of an infinite, procedurally generated universe. With over billions of galaxies you can explore. And billions of planets. For fans of exploration, this means that the possibilities really are endless. The slow, gentle flow of the game means that anything could happen both while exploring space and the numerous planets out there. Anything could happen. One ship – seems odd for a game that is so focused on differentiation to be stuck with one vehicle, right? I suppose you can't have everything. All of them have their own unique designs though. Still, the ship has a great design on it just like the rest of the game and will make exploring interesting. You only get one ship and its not customizable. On the bright side, you can find one you like. There's a variety of ships so that won't be a problem. OK, well, that's a bit of a kicker. Still, there is always the magic of DLC, right? Right? A lack of detail on the ship might be a drawback for some, but the unmitigated joy of the infinite universes surely balance it out. So, the big blue pearl we call home won't be there. Devs have stated that it will still be within the galaxies No Man's Sky provides. You might be closer to it than you thought. The team actually used virtual probes to explore the cosmos to find problems. Along with using math functions instead of storage space or the internet. It's neat to think about. What's better than exploring the reaches of space? Exploring it with FRIENDS! No Man's Sky is slated to feature co-op / multi-player options upon its release. The idea of colonizing and searching with friends is definitely an interesting one. However, Murray's previously said not to think of it as a multi-player game. Plus, you can always trip them if you are being chased by a predator. What is a trip without pictures? The idea of taking pictures of the places you discover is definitely an interesting one. One of the great parts of exploration is documenting the new things you see. With a universe that never ends, one can only imagine the albums that will line the shelves of your ship. Hopefully, none of them will be crime scene photos. Even more pretty to behold. Is the deep, dark of space not your scene? How about the deep, dark of the ocean? Where sea monsters might be lurking. No Man's Sky offers underwater exploration as well as land and space-based travel. With even more terrain at your fingertips, what is not to love? 8. You Can Chop Down a Tree. The terrain options are great in this game – you can chop down trees, do some gardening and be eaten by monsters! Monsters all around the universe. No Man's Sky seems to be focusing on giving the feeling of control to the player in how, where and in what way they explore all before him. I come in peace – please stop shooting! Believe it or not, you don't have to fight the dangerous monsters gnawing on your squishy bodies. That doesn't mean that someone or something won't attack you. If you prefer, you can try and talk about your place in the universe, maybe have some tea from that tree you chopped down. You never know what will happen though. Just remember that non-violence is the best way to answer being shot in the face. If Skyrim was too small for you, perhaps you might enjoy an entire planet the size of ten Skyrims. Not all planets will be Earth-sized, of course. The ones that are, however, will just make the universe feel even bigger. Bigger than it already is. No Man's Sky, no matter how you approach it, will be one heck of a journey. 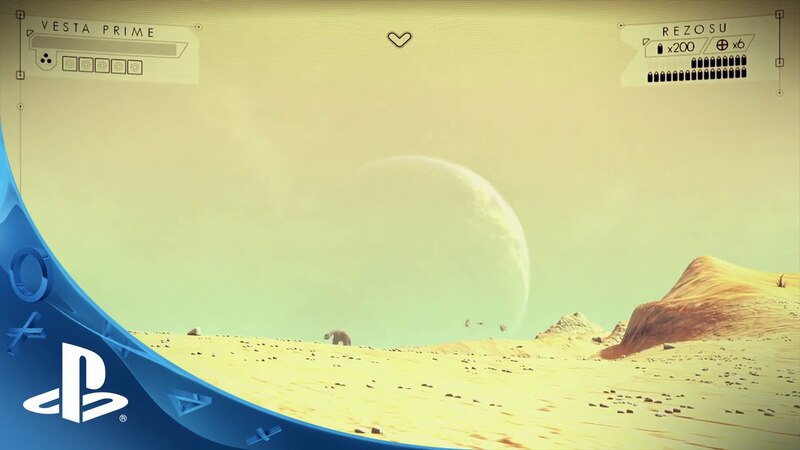 Are you excited for No Man's Sky? Do you know any interesting facts or rumors that we might have missed? Let us know in the comments below!